The Air India board has cleared a proposal for sending its pilots on deputation to its budget arm, Air India Express, which has been facing shortage of commanders for some time now, airline sources said. The move would help Air India, which may face the problem of having excess pilots as the airline's Boeing 777-200 LR fleet is being phased out and shrinking, they said. 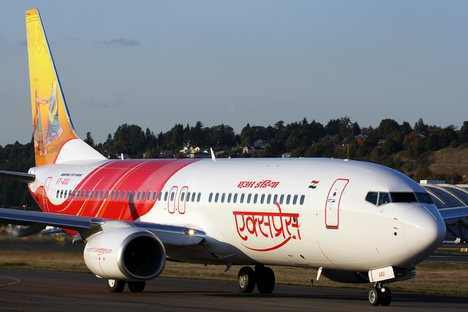 Air India used to earlier send its pilots on deputation to Air India Express (AIE), but stopped the practice after the two-month strike by pilots in May-June 2012. "The Board recently approved the proposal, paving the way for AI pilots to join AIE," a source said. Shortage of pilots in AIE has been continuing for a long time and has led to at least three or four machines of its 17-strong aircraft fleet always remaining on ground, they said. Besides, the Air India and AIE top brass were keen to have in-house talent as a cheaper option rather than going to the market to meet the shortage. "The idea was mooted several times with the airline management but did not find favour primarily due to the two-month strike by the pilots owing allegiance to the now de-recognised Indian Pilots Guild," they said. Air India has already sold five of the total eight Boeing 777-200 LRs to Abu Dhabi-based Etihad Airways and has floated tenders to sell the remaining ones. "The phasing out of these planes is leaving surplus pilots with the carrier who will now be adjusted in AIE. Besides, it will also help Air India pilots in getting command positions earlier than in the parent company. So, the move will benefit Air India and AIE as also the pilots," they said. AIE will require around 50 more pilots to operate its entire fleet of 17 aircraft, they said, adding it will be better since the airline was planning to induct eight more Boeing 737-800s in the fleet to get back to the original size of 26 aircraft. The Kochi-based low-cost subsidiary till a few year back used to operate some 214 flights with 25 planes, seven of them being leased aircraft. However, it gradually phased out the leased aircraft and lost one brand new Boeing 737-800 in the Mangalore crash, bringing the fleet strength down to 17. The airline now operates 165 weekly flights connecting 12 international routes, mostly to the Gulf, and also covers 11 domestic destinations. Of these, 87 flights are from Kerala alone.